Dr. Bartels is an attending physician in the Emergency Department at Beth Israel Deaconess Medical Center. Her international work has included HIV/AIDS programmatic work in Kenya, working with Burundian refugees in Tanzania, and helping to develop an early warning drought surveillance system in Ethiopia. Dr. Bartels has also helped manage a cholera outbreak in central Ethiopia and participated in the International Rescue Committee’s nationwide mortality study in the Democratic Republic of Congo. She has expertise in women’s health and sexual violence as a weapon of war, having lead two research projects in eastern DRC and assisted with a project on war crimes in Darfur. A major focus area for Dr. Bartels is children affected by complex humanitarian emergencies and disasters. In the fall of 2013 Dr. Bartels helped conduct a child protection assessment of Syrian refugees living in Lebanon for Harvard FXB. 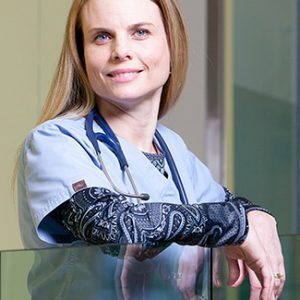 Dr. Bartels completed a five-year residency in emergency medicine at Queen’s University in Canada followed by a fellowship in international emergency medicine at Brigham and Women’s Hospital and a Master’s of Public Health at Harvard School of Public Health.